Recently, my friend, Emily, told me about Salvatore Bklyn. They make fresh artisanal ricotta cheese daily in Brooklyn, NY, using the finest whole milk sourced locally from upstate. After doing more research online, Kate & I fell in love with their story, product and website. 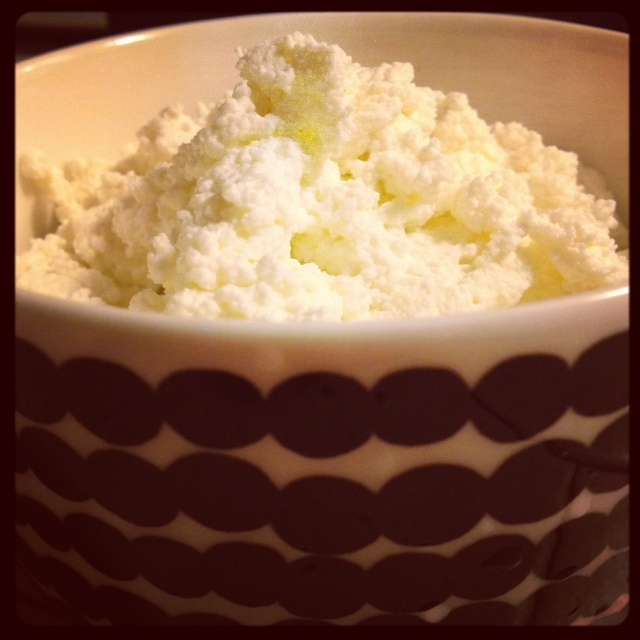 Martha Stewart has proclaimed, “It’s my favorite ricotta in the whole world!”, and has featured them on her show. 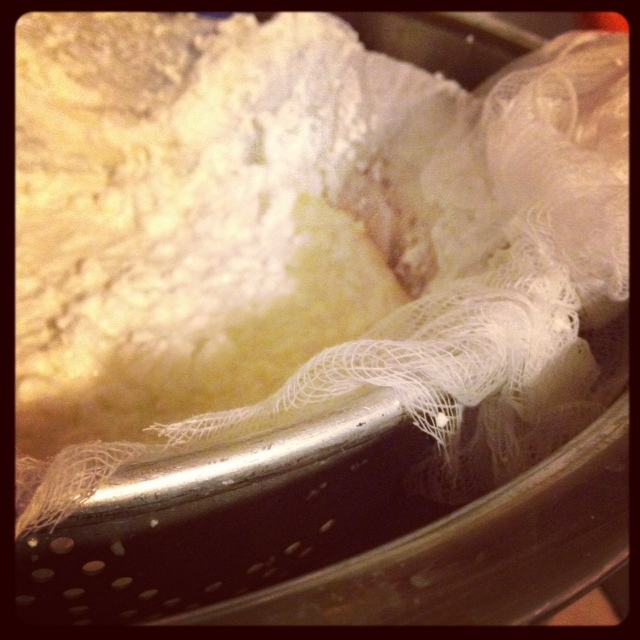 It made me want to attempt to try to make my own ricotta. 1. Pour the milk into a large, nonreactive pot and season with salt (a healthy pinch). Cover the pot and place it over high heat. 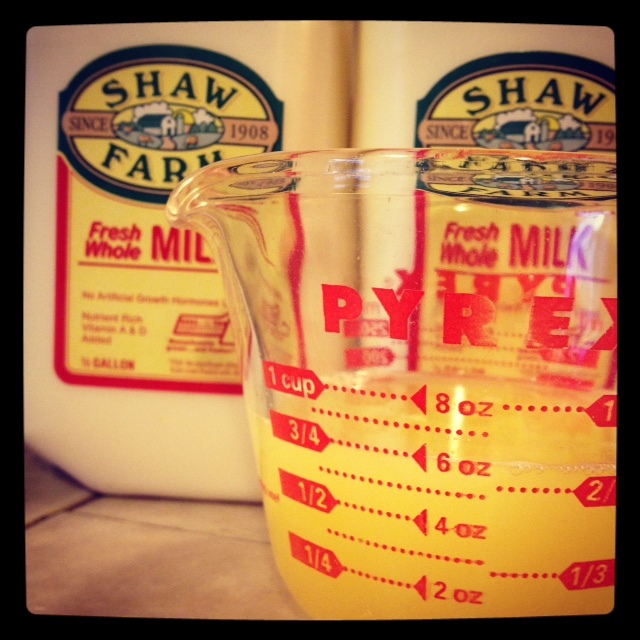 Heat the milk to 190 degrees (use a thermometer), stirring it every few minutes to keep it from scorching. Turn off the heat, remove from hot burner, and add the lemon juice. Stir slowly until you see curds beginning to form. (This should happen almost immediately; you’ve now created the curds and whey.) Let the pot sit undisturbed for 5 minutes. 2. Line a colander with cheesecloth and place it over another bowl (to catch the whey). 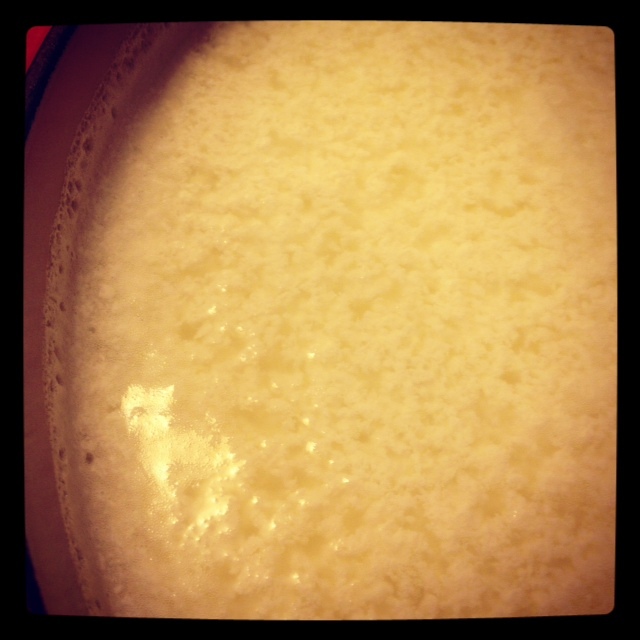 Pour the curds and whey into the colander and let the curds strain for at least 1 hour, then discard the whey. Eat the cheese right away or transfer it to an airtight container and refrigerate until ready to use. The results were amazing. This ricotta is delicate and fluffy, best eaten with a pinch of salt and fresh cracked pepper. yum. #1: Toasted baguette slathered with roasted garlic topped with oven roasted cherry tomatoes and a heaping of ricotta. Sprinkle sea salt and cracked black pepper and add a drizzle of your favorite extra virgin olive oil. Tasty with a simple side salad of mixed greens dressed in olive oil and champagne vinegar. #2: Toasted baguette rubbed with a fresh garlic clove and topped with 2 tsp of pasta sauce, ricotta and a sprinkle of sea salt, pepper & oregano. Drizzle with olive oil.